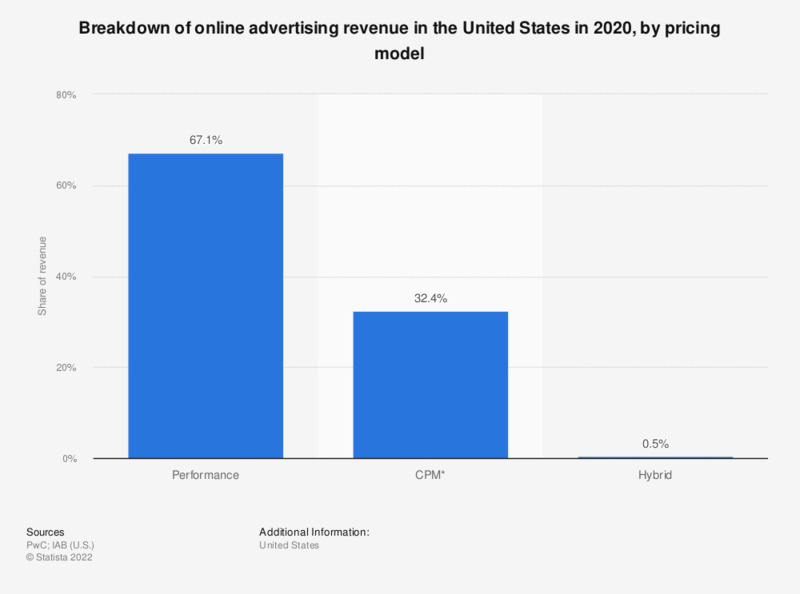 The statistic above shows a breakdown of U.S. online advertising revenue in 2017, by the pricing model that was used. That year, 62 percent of online ads in the U.S. were priced based on their performance. Here you can find the data for the period 2004 to 2017. * CPM stands for cost per mille (per thousand impressions) and is a term typically used in advertising. Pricing model definitions may have changed over time period depicted, both within the survey process as interpreted by survey respondents.